Whether you're looking for a gill net to use to catch fish, or an experimental gill net to conduct a scientific study or a knotless seine to help you collect your koi without injuring them, Memphis Net & Twine is the place to shop. We have an extensive inventory of monofilament and multifilament gill netting that will meet most of your needs. We started as a fish net company way back in 1962, but expanded over the years to offer not just all kinds of netting for fishing, but also sports netting for baseball, lacrosse and soccer backstops. Our aviary netting will keep your quail, pheasants or chukar partridges contained , our garden netting will keep birds and deer out and our crop netting will support your climbing vegetables such as pole beans. If you need to separate things, contain things or catch things, we've got the netting for you. We sell netting to meet your specific needs, such as mosquito netting to make your sitting areas more pleasant, handrail netting to secure an area or durable plastic netting to build holding pens. 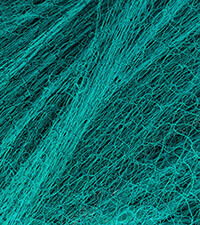 In addition, we carry both knotted and knotless seine netting and polyethylene netting. We offer many types of nettings in a wide variety of sizes so you can find the netting with the strength you need and mesh size required for your net project. Shop our selection today using our easy online ordering process!